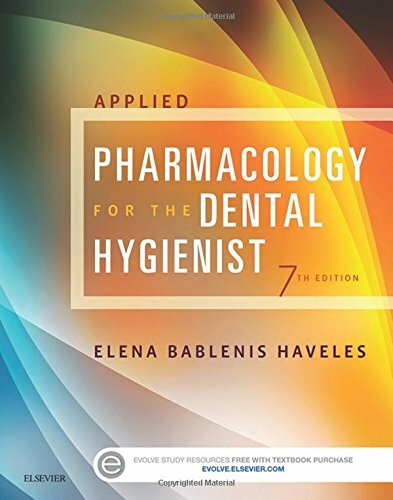 Covering the most commonly used drugs in dentistry, Applied Pharmacology for the Dental Hygienist, 7th Edition provides an in-depth understanding of the pharmacologic principles needed for safe and effective dental treatment and oral health care. It discusses drug properties and mechanisms of action, dosages, intended effects, interactions, and adverse reactions ― both for the medications a patient may already be taking and for the drugs prescribed by the dentist. New to this edition are topics such as drug-related osteonecrosis of the jaw, recommendations for antibiotic prophylaxis to reduce the risk of infection, cholesterol and cardiovascular guidelines, and new information on type 2 diabetes. Written by dental hygiene educator Elena Haveles, this trusted text prepares you for the expanding role of the dental hygienist!